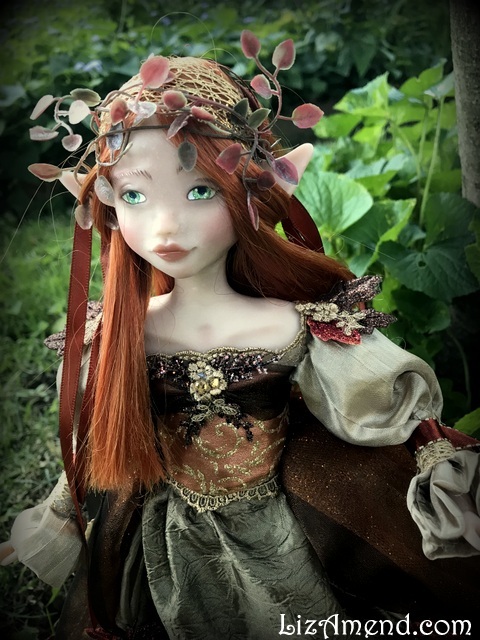 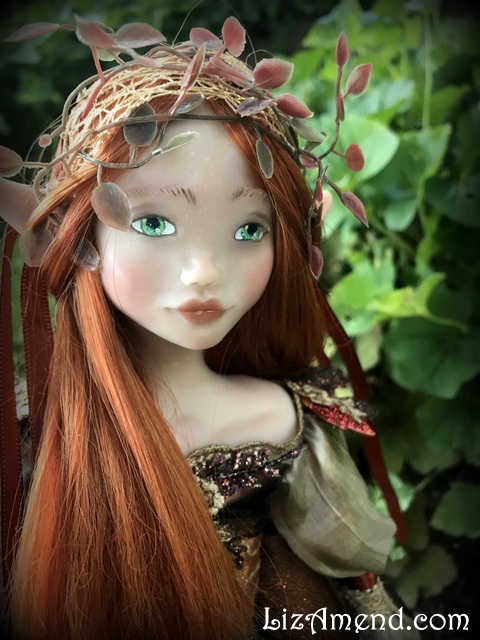 Aurélie, A Forest Elf, measures about 15.5 inches tall. 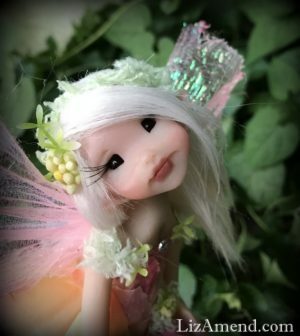 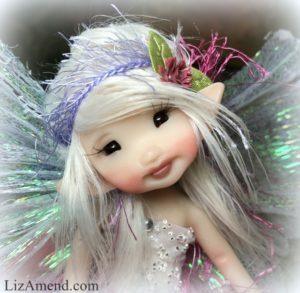 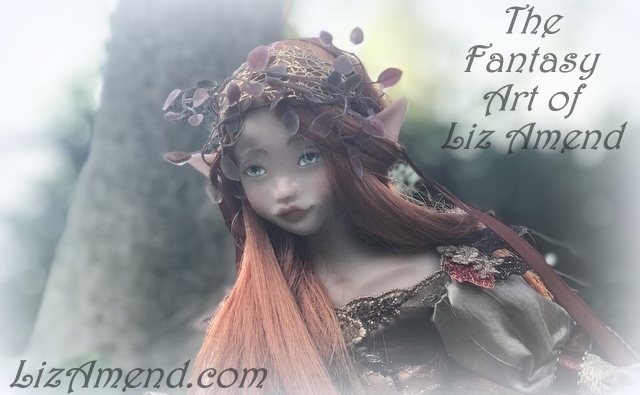 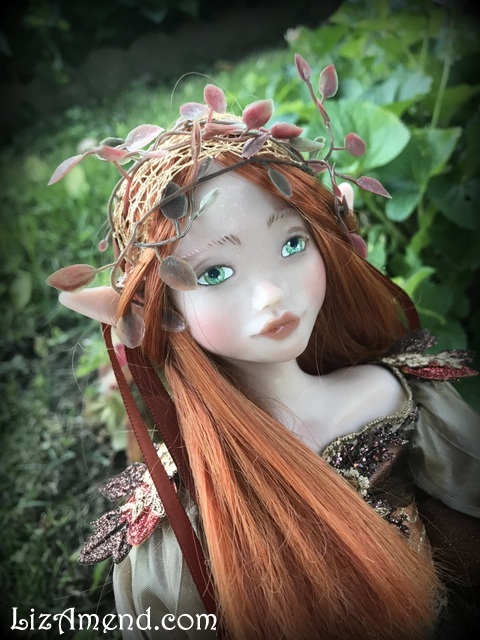 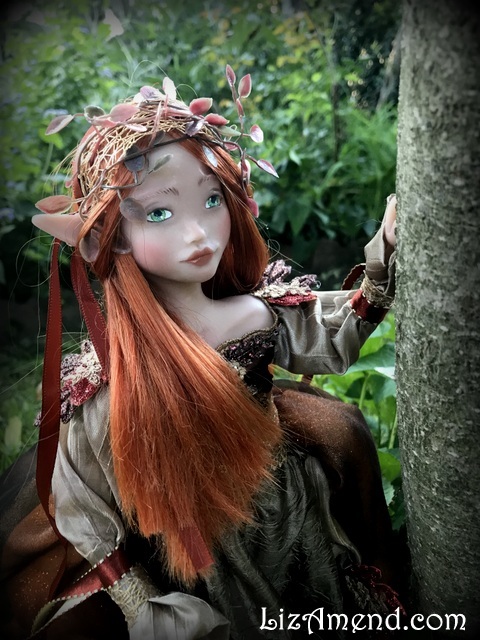 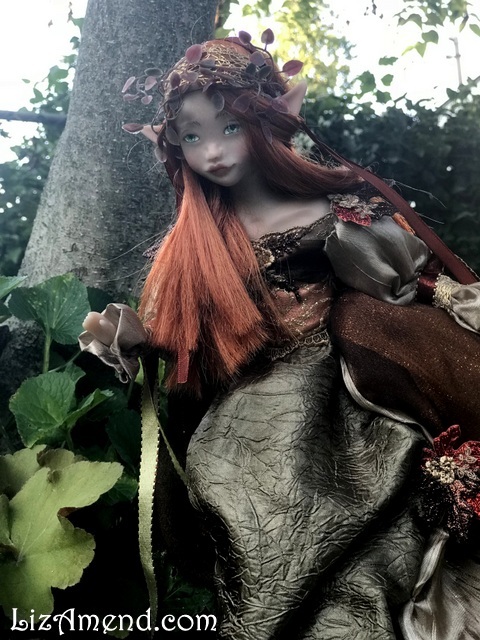 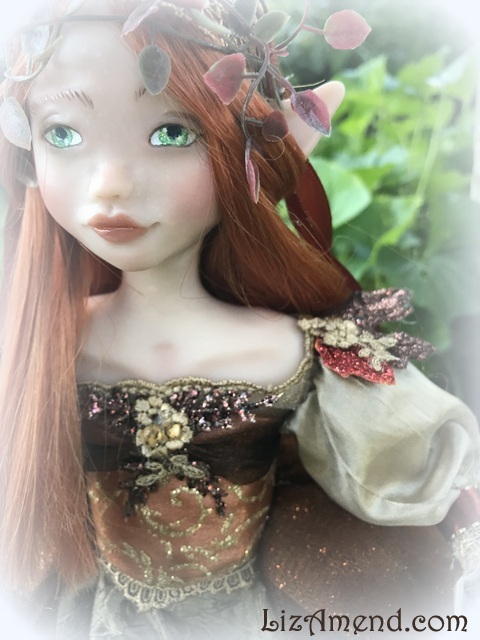 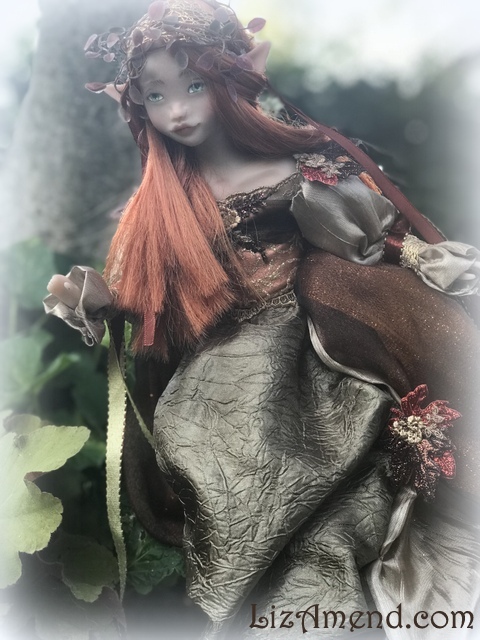 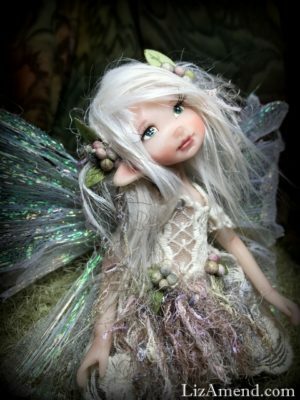 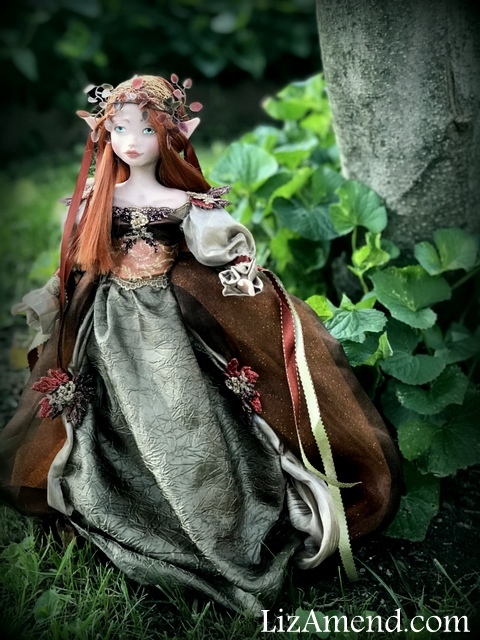 This beautiful forest elf is MUCH larger than my regular sized fairies, measuring about 15.5 inches tall! 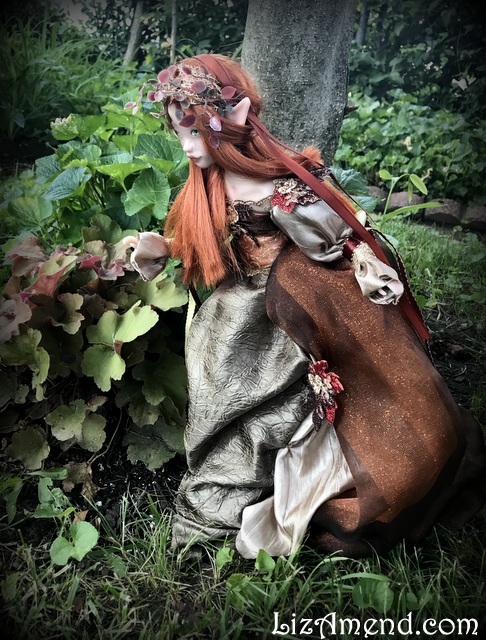 She is pose-able at the shoulders, elbows, hips and knees. 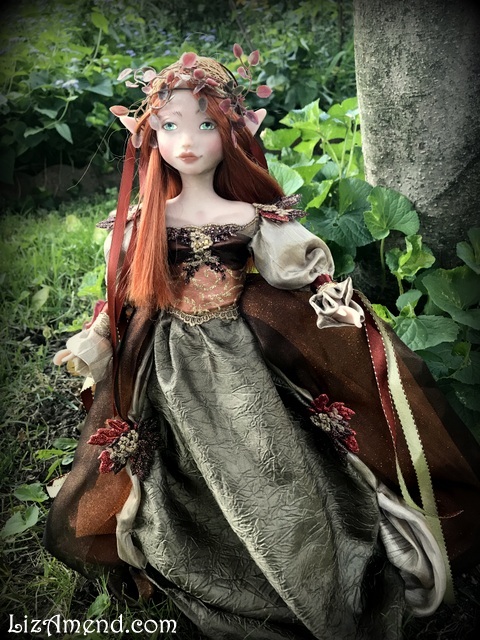 She comes with a doll stand but can also be displayed seated. 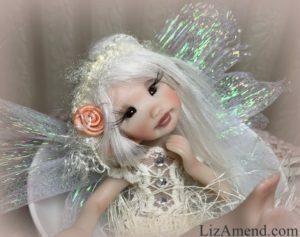 As with all my art dolls, these are not toys, but can be gently posed and displayed like any collectible doll!